In spite of their expertise, leadership and self-confidence, when it comes to website design and the process of creating one, C-level executives and other entrepreneurs are often unclear about what to expect. Perceptions of the b2b website as a tactical detail to check off their list can sometimes get in the way of seeing the strategic value it provides to their business. Having worked with many marketing executives, I've amalgamated a short list of the most important questions to ask any website design agency they may consider for creating their site. How can you prove that you understand my business? Show me some relevant sites you've done and / or explain what qualifies you to do my site? If the agency has done relevant sites and solved similar problems, great. If they haven't, but are able to express a clear process and demonstrate curiosity, intelligence and common sense, they may also be a good fit. Really, how important is the website for a B2B company? A good agency partner will remind you that even in this multi-channel marketing world, the website is still the most visible, thus valuable, marketing tool a B2B company has to offer. By tailoring content to your specific audiences and measuring their engagement, you will generate legitimate sales leads and build enduring brand awareness. What is the value of the website to my business? A web agency should be able to explain that the value of your website is dependent upon its content and the regularity of that content being updated. The two main reasons to create a website are brand awareness and lead generation. 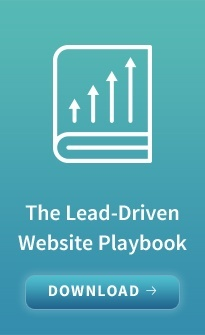 Most businesses want their sites to be lead generation machines, the success of which is measurable through web analytics. The way to attain the most value from your website is by developing a content strategy and consistently providing differentiated content that visitors need and for which they are willing to provide their contact information. How can you help make my website more than just a validation tool? Any halfway decent web designer can make you a scrolling website that looks like every other scrolling website out there so you at least look credible. But if you really want to take the next step, you need to create CTAs that offer compelling content, which visitors will not find on competitors' websites —eBooks, White Papers, Webinars, Free Demos, Infographics, Animated Videos, etc. How will the website help sales? While a B2B website will not cause a prospect to write you a check, think of it as your 24/7 sales assistant, always on and available whenever a prospect decides to consider your business, which in our current culture can be any time of day, night or the weekend. The better looking, performing and informing your website is, the more likely your business will be on the shortlist when that time comes. Additionally, when you leverage the search terms that your target audience is using —by optimizing your content and by implementing SEO best practices — your company will be found through search. How are you going to address the fact that we have multiple customer audiences? The best way to address the multiple audience question is to create buyer personas, which lead to content creation for each key audience and to design the website in a way that will guide these unique audiences along their own paths, whilst providing an umbrella brand theme that provides some cohesiveness among the personas. Why should I work with an agency rather than simply use a Wordpress template? Many people are noticing how websites today all look the same. A key reason for this is the plethora of generic Wordpress templates upon which so many sites are created. If you are at that stage of your business where $ is the most important determinant of your website project, then using a pre-existing Wordpress design template might be an option. But if you need guidance regarding your content, navigation, SEO, lead generation, design and analytics — plus dedicated project management, invest in an agency. When do I know I need a new website? The answer ranges from the obvious to the subtle. When web technology changes and your website remains a relic of an earlier generation of websites, it's time to change. For example, today's websites are responsive, heavy on images and light on text. If your website is not yet responsive and is full of long-form text, time for a new site! Less obvious indicators are: How old is the copy? Are the messages still relevant? Does it reference past dates? Is the copyright several years old? Is the imagery dated? Are the fonts or pictures too small? How much will the website cost? Obviously, this is the single most asked question and if the agency provides a quick answer, it is a commodity shop with whom you should not be talking. What they should be ascertaining is the scope of your website. What are your overall goals? How much content is needed? Is help with messaging necessary? Are there multiple audiences that might require unique buyer personas? How much interactivity, visual diagrams, photography and copywriting is needed? Upon discussing these things with you, the agency will then be able to provide a responsible and responsive quote. The above are all great questions we've been asked many times. If you have any other questions, give us a call! Author Note: Subscribe to our blog to get access to more specific information like this, as well as company updates, announcements, etc.